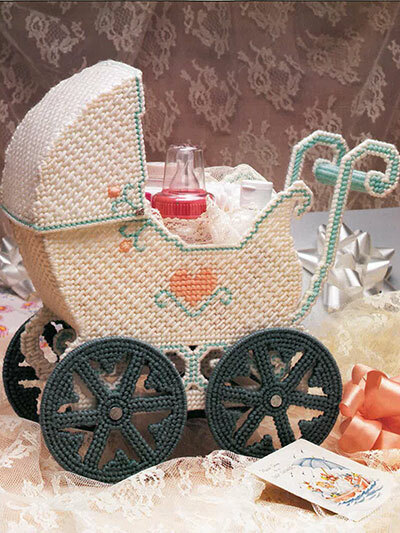 Using some yarn and plastic canvas you can easily make a centerpiece or a gift basket for a new mom to give to her at her baby shower. All it takes is a little imagination and some plastic canvas! 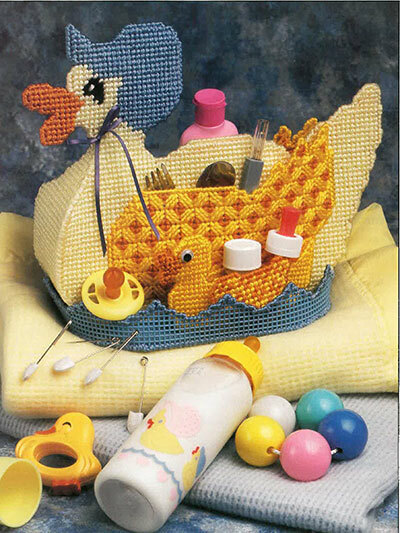 If you want to start with an easy project just use squares to make a basket to fill with baby items. 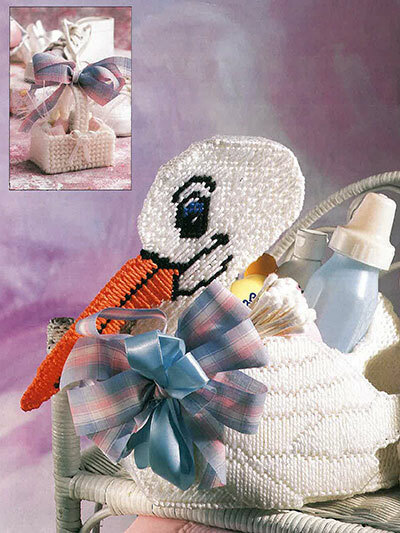 If you are looking for something a little more difficult try out one of the patterns including The Stork Basket, Duck Set and Baby Carriage are all made using 7-count plastic canvas and worsted-weight yarn. 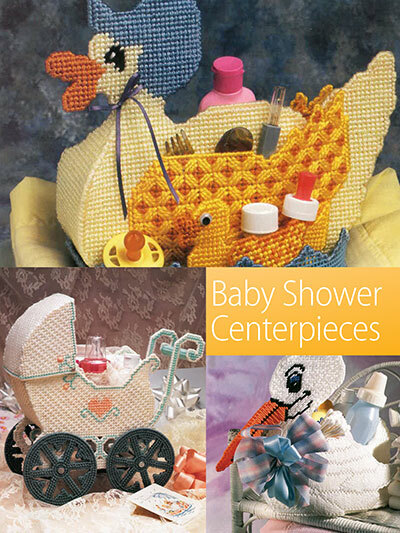 Size: Stork basket is 6"W x 12"l x 10 1/2"T.
Complete your nursery with 1 of these 4 cute tissue covers. All are made using 7-count plastic canvas and worsted-weight yarn. 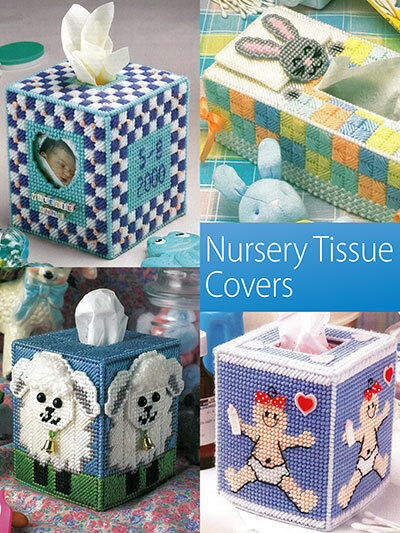 Birth Sampler, Baby Lamb and Baby Tissue Box Cover all fit a boutique style tissue box. Sleeping Bunny design fits a standard-size tissue box.